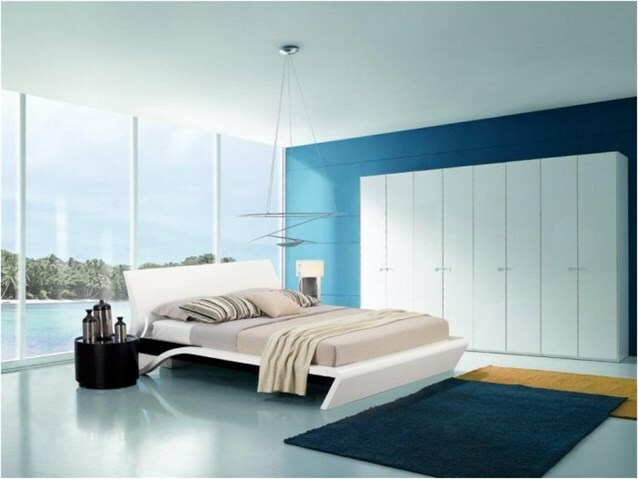 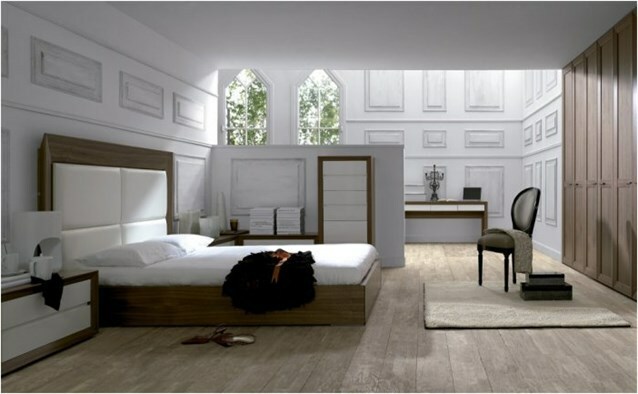 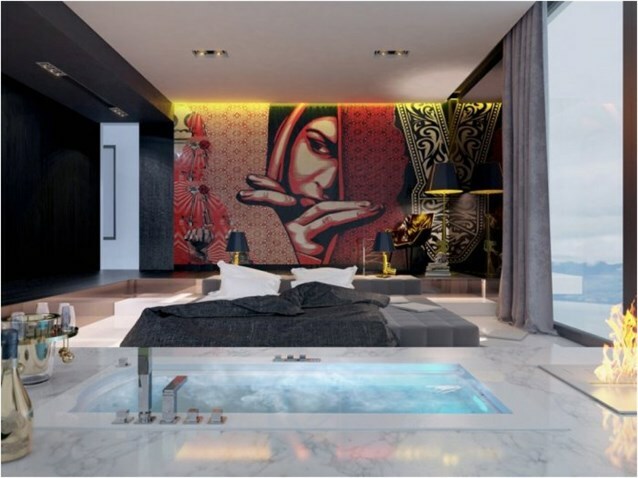 The place you never forget so it's need to luxurious modern bedroom ideas to select what better suits yr comfort..
Apart from the classical shapes that convey the royal palaces, luxurious designs and brilliant metal details, you can get a luxurious bedroom decor in a modern style that is simple in furniture designs, lighting fixtures with striking modern shapes and innovative gypsum designs for ceilings and walls to get a bedroom that simulates the age with a clear touch of Luxury and luxury. 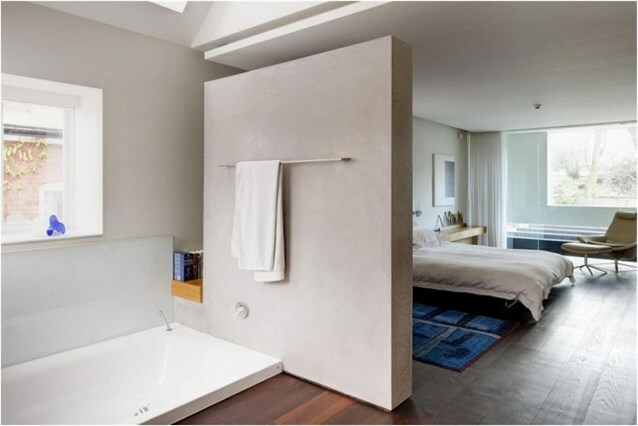 - When the bathroom is part of the bedroom decor Modern: where the bedroom is not separated from the bathroom door or wall is often a single floor and the separation, if any is a small cutter is placed as a decoration, this combination between the two rooms gives the decoration of luxury and excellence. 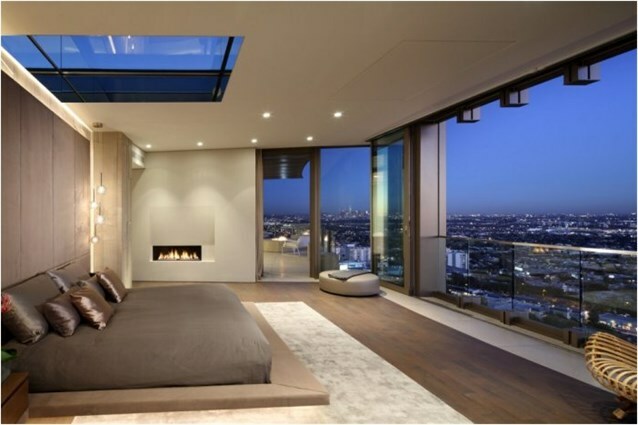 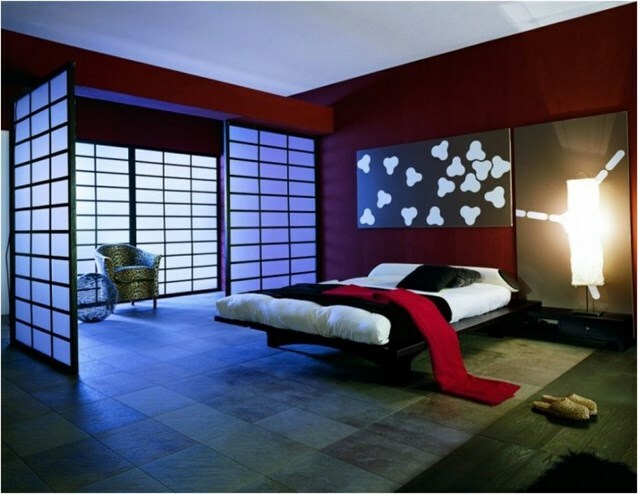 - The large glass facades in the modern bedrooms: For a distinctive view, which gives the space a wide open through the external atmosphere, these rooms often have a distinctive view either on the nature or private garden or on the high floors of buildings in the city centers. 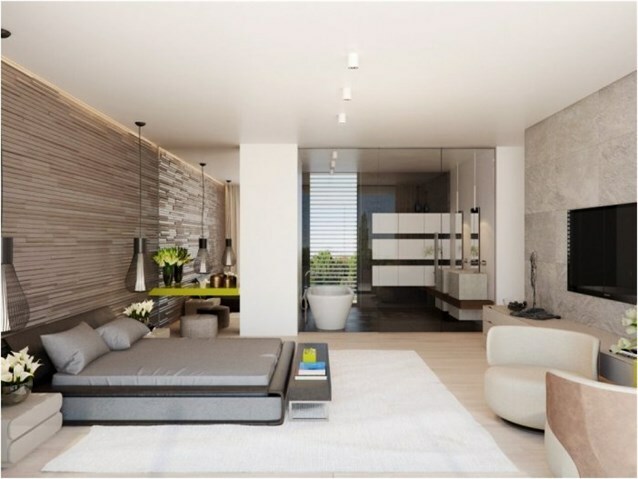 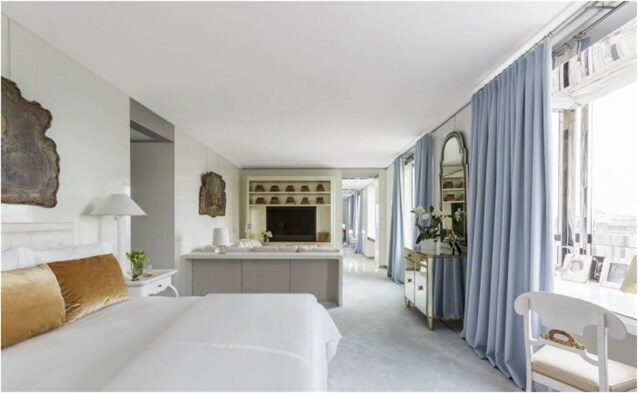 - The unused spaces are larger than the spaces used: This is unlike the simple bedrooms where furniture occupies a larger part of the space remaining. 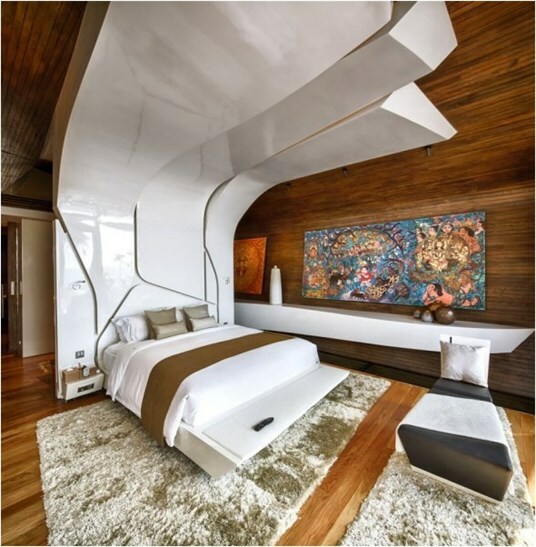 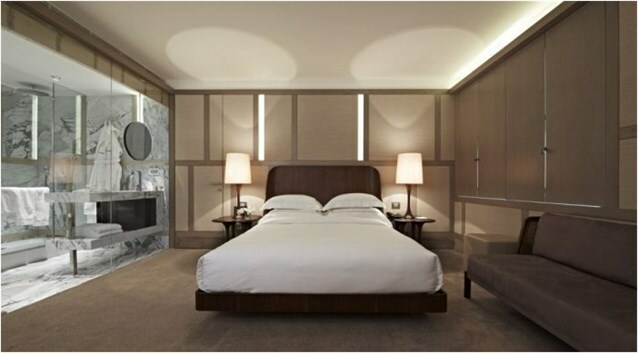 In the luxurious bedrooms, the empty space is much larger to give you a sense of comfort in movement and use and a sense of luxury. 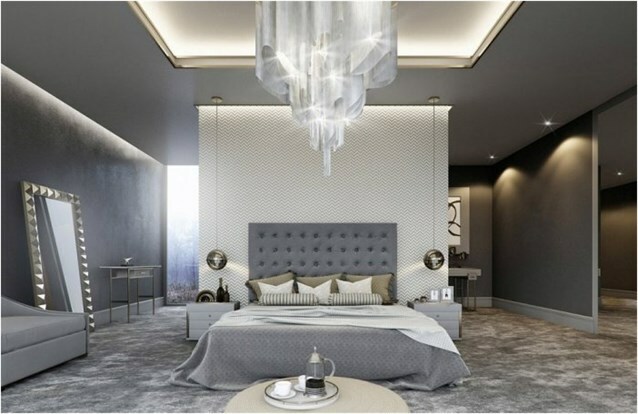 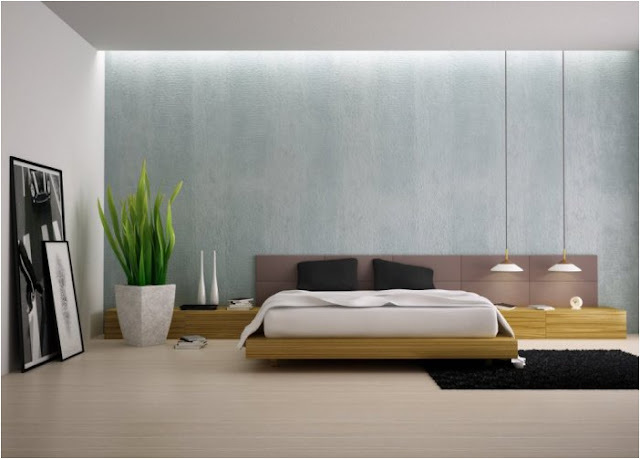 - Accessories add luxury to the modern bedrooms: such as television, heater, distribution of sound system in the ceilings and other details of a modern bedroom.